Gustavus Adolphus College students Alexa Giebink ’16 and Samantha Vang ’16 are two of the 800 American undergraduate students from 356 colleges and universities across the U.S. selected to receive the prestigious Benjamin A. Gilman International Scholarship, sponsored by the U.S. Department of State’s Bureau of Educational and Cultural Affairs to study or intern abroad during the spring 2015 academic term. 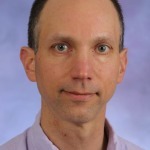 The Center for Developmental Science (CDS) at Gustavus Adolphus College and the Children’s Museum of Southern Minnesota (CMSM) in Mankato have been awarded a $3,000 stipend from the National Living Laboratory Initiative in Boston that will create unique opportunities for Gustavus psychology students. 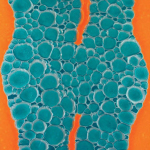 The Hillstrom Museum of Art at Gustavus Adolphus College will present Fluid Chromatics: Epoxy Paintings by Patrick Blaine, from November 24, 2014 through January 30, 2015. Blaine is a St. Paul artist whose work has been shown at the Marziart Internationale Galarie in Hamburg, Germany and the Frank Stone Gallery in Minneapolis. Gustavus Adolphus College will celebrate its 74th annual Festival of St. Lucia at 10 a.m. Thursday, Dec. 11 in Christ Chapel. 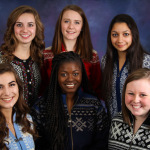 As part of this seasonal tradition, six sophomore women have been chosen to serve on the Lucia Court including Sarah Barnes, Rachel Hain, Janet Jennings, Kendyl Landeck, Sharon Singh, and Laura Swenson. Gustavus Adolphus College Professor of Mathematics and Computer Science Max Hailperin received the National Association of Secretaries of State (NASS) Medallion Award on Friday, Nov. 21 from Minnesota’s Secretary of State Mark Ritchie. Watch a video slideshow of the events that took place at Gustavus Adolphus College during the month of October. Gustavus Adolphus College received the 2014 Tekne Lifetime Achievement Award from the Minnesota High Tech Association (MHTA) at the Tekne Awards celebration on Thursday, Nov. 13 in Minneapolis. 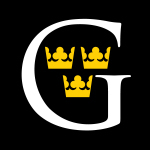 Gustavus received the award for its work and ongoing commitment to the Nobel Conference, which celebrated its 50th anniversary this past October. Thanks to the generosity of more than 450 alumni, students, faculty, staff, and friends of the College, Gustavus raised $133,296 for the College’s Annual Fund on Wednesday, Nov. 12 during its annual Give to Gustavus Day. The total amount raised exceeded the goal of $100,000 and shattered last year’s Give to Gustavus Day total. The Gustavus Adolphus College men's soccer team defeated St. John's University 2-0 in the MIAC Playoff Championship on Saturday, Nov. 8 at the Gustie Soccer Field. 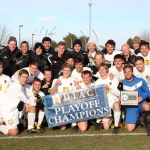 With the win, the Gusties earn the automatic berth from the MIAC to the 2014 NCAA Division III Men's Soccer Tournament. Gustavus Adolphus College President Rebecca Bergman received the University of Minnesota Award of Distinction for her years of service to the University’s College of Science and Engineering on Thursday, Nov. 6 at the College’s annual Leadership Gala.